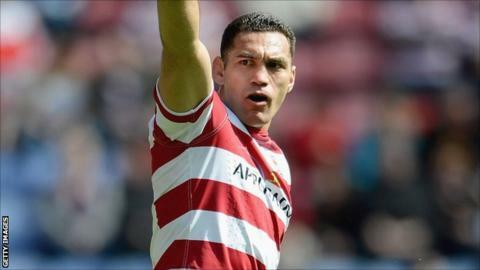 Wigan Warriors centre George Carmont has said he will not be persuaded to play on for another year and will retire at the end of the season. The 34-year-old had considered quitting before signing a new deal in July 2011. But Carmont has insisted he will definitely retire and move to New Zealand at the end of the year. "I know I've been saying it for the last couple of years but this year it's a bit different to the way I was feeling last year," he said. "Twelve months ago I wasn't sure whether the club would want to keep me. When they did ask me, I was pretty happy and I just had to tell my kids and my partner that we were going to delay the move. "This year feels different. It's like it's time to go home. "I have been asked to stay on but I'd rather finish the game one season too early than stay on one season too long."